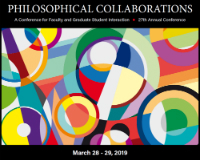 Held on the SIU campus each spring since 1993, the annual Philosophoical Collaborations Conference is designed to encourage creative interaction among graduate students and faculty. The 2019 conference flyer packet, including detailed event information and full speaker schedule, can be viewed and downloaded HERE (pdf). An Agora Schedule for the Spring 2019 semester can be viewed HERE (pdf). Broadly conceived, the purpose of "Building Bridges," the Southern Illinois University Carbondale Graduate Student Philosophy Conference, is to bring into dialogue diverse elements not commonly associated. Click here (pdf) to view the flyer. 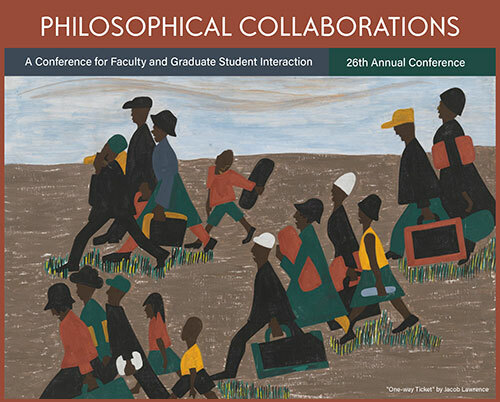 March 22-23 2018, Student Center - A faculty member and graduate student jointly research and present their collaborative effort in our annual conference. Click here for an archive of events that have taken place.